Emma is experienced in Gas Chromatography Mass Spectroscopy, Infra-red spectroscopy and Near-infra-red spectroscopy. 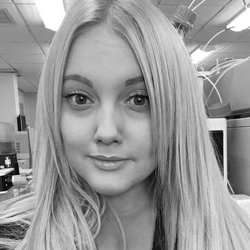 Emma is currently responsible for the bench top analysis undertaken by Greenwall at Keele University working within the ‘Asbestos in Materials Scheme’ run by the Health and safety Laboratories England. She has recently graduated to PHD level.